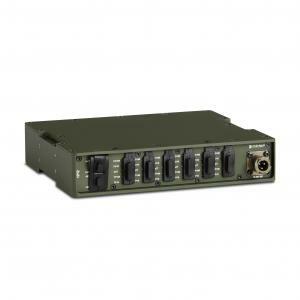 The 19”/2 6-p Fiber Switch ESW101 is fully rugged and easy-to-use. Not only is it designed to withstand the most extreme environments over the long haul, it is exceptionally compact to save precious space. There’s no need to configure the Switch before use. Whether you’re using fiber optic or copper cables, simply plug them in and you’re ready to go. Our products always come with a lifetime support to ensure your equipment maintains peak performance for many missions to come. We also serve units and stock spare parts for 5 years after end-of-life.